Good night Jo. I hope you had a nice Wednesday. I can’t get over Phos’ picture of the moon. I should be able to identify the craters Copernicus and Tycho on a picture that size, but I can’t. In case you don’t remember, I helped map the Moon for the Apollo program. Chas, can you use a Paperwhie Kindle for reading? The print can be made pretty large. Janice. I use a Kindle. I don’t know what kind it is. It just says “Kindle”. It isn’t as good as reading a book. 😦 I thought I posted a response, but it didn’t take. Janice, I read from a Kindle. I don’t know if it’s a Paperwhite, but it works. Chas, you might want to look online at Amazon to see the difference between regular and Paperwhite Kindles. The lighting on the Paperwhite is better at least on the old one I have. Morning…or is it night?!! That is an amazing photo up there! We are in the Spring like calm before another snow storm…well that is what they are telling us anyway. We shall see. My neighbor and I finally had the opportunity to once again take our walk through the neighborhood without the risk of falling and breaking a hip….hoping we get another couple of days in before the roads become a mess again. But for tonight we are getting together for dinner with three other neighbor couples…we always have such fun…so blessed. I was reading an article this morning that left me with a mix of thoughts. Have any of you heard of “The Send” that happened in Florida? Purported to be the beginning of a “new awakening” amongst Christians? As I was reading I learned Benny Hinn was a speaker/evangelist along with Francis Chan? That struck me as very odd. Anyone have insights? Snowing here this morning. Have I mentioned that I love the snow? Sounds like a very odd combination, NancyJill. I know nothing about it but I do know God works in ways we don’t understand. Well it looks like something Frances Chan would encourage, putting faith into action, wherever God calls us to do that. Cheryl, how is Francis Chan supposed to be a heretic? I am doing an online Bible study with a group of ladies. I am really enjoying it because we do all stay on track. Does anyone else here do an online Bible study with others? Well, I googled Chan and heretic and there was lots of stuff but since I don’t know the sources, I am back to listening the words that come out of his mouth. I have not heard anything heretical. I know you can find any point of view on the internet, so I would be interested in your perspective, Cheryl. “Send Conference.” Always something, eh? I hadn’t heard of this latest ‘popular’ para church movement out of Florida before. Before knowing anything more, my initial reaction is to be wary, probably very wary — just because we’ve all seen these things come and go so often (and most of them typically sweep people up with questionable teaching attached). I know next to nothing about this one, there may be some sound messages included, although anything featuring Benny Hinn raises a huge red flag at the start. And anything disconnected so completely from the church itself and so driven by ‘popularity’ seems especially vulnerable to unsound teaching. We’re to be careful and to examine first, we’re to be wise as serpents, as the Bereans, not swept up with every wind of (pop) doctrine so prevalent in every age, ours certainly being no exception. I, too, would be very wary and would not attend. But there is a wide range of worship styles and a wide range of worship living. We learn that in Romans 14: 1- 12 especially. We are to call out when somebody is preaching a different Gospel, but the working out of such is not our call. There is liberty in Christ. Roscuro here. On lunch break. Chas, you probably can’t see the craters because I can only zoom in 50x. I find it suprising that Hinn & Chan would be at the same event because my relatives who follow Chan pour scorn on the likes of Hinn. I have already mentioned my reservations regarding Chan, but he seems unstable in his doctrine, so perhaps it isn’t so surprising he would be at the same event as Hinn. How is he unstable in his doctrine. I like what he teaches but am willing to learn if I am wrong. I just can’t learn from people saying, “he is wrong” or “he is a heretic”. I saw a beautiful owl this morning. My immediate thought was snowy owl. I had seen one about ten years ago when we had similar snowfall. They come south when they run out of lemmings. That one was all white But this one, though mostly white, had goldish brown around its disc and edges of wings Really beautiful. About the size of the great horned but no ear tufts. 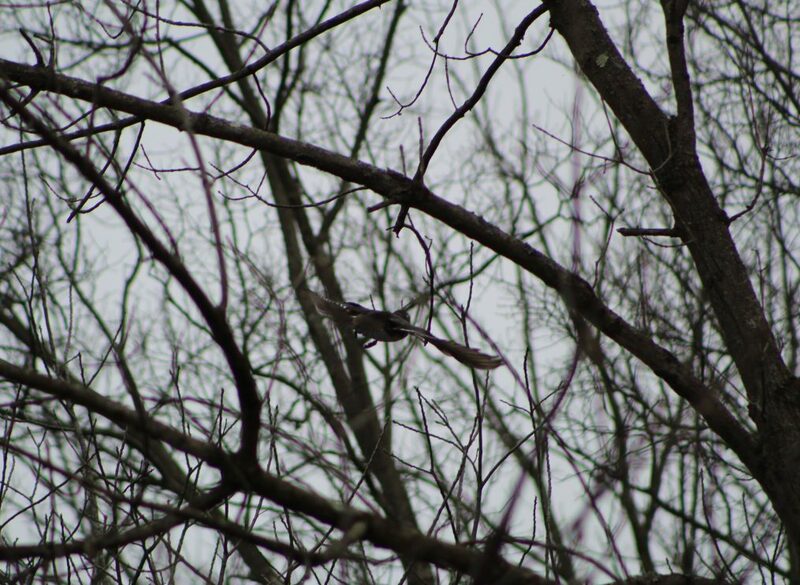 It came down out of a tree by me and then circled me before going off to land on the snow. Beautiful. God is amazing. Do you remember way back in the day, when we had a discussion as to whether we wanted our names on the top of the posts or at the bottom? Some wanted at the top so they could skim by people. Others at the bottom so they could read and decide what they thought before knowing the author. I believe we were on World at the time and Joe was our moderator. Mumsee, I have never seen a snowy owl except in photos, but they really vary in how white they are, with males being whiter than females (in general). A really beautiful species I would love to see someday, but nearly all my owl sightings were in Tennessee. Mumsee, I haven’t read Chan or researched him, just knew I had heard some hesitations somewhere–maybe from Roscuro?–and to be honest, joining up with Benny Hinn pretty much confirms it. If I had to limit the word “heretic” to only one person alive today, Hinn would win it. Or, could there be some solid believers trying to do a convention to challenge people in their walk, who happen to have been signed into the same conference as Hinn? Or who knew Hinn would be there but did not want to leave the flocks in his hands. Paul talking to the Athenians about the unknown God comes to mind. In but not of. David Platt is another one I have heard called out on here as heretical. Why? He seems solid to me. I don’t think we should take somebody else’s word that a brother is a heretic without serious thought and consideration of his actual words. None of these people are perfect, they will make errors. But being a known entity does not make them wrong, it should bring us to pray for them as they will be more thoroughly judged as teachers. Yes, they can fall but that does not mean they will. Just spent 2 hours with Western and Clark’s Grebes being treated for oil contamination. They are SO cute. But rehabbers told me they will poke your eyes out with their beaks. I don’t remember that, Mumsee, but I have not been with you all as long as some have. I don’t know if that link will work but thought I would try. I read the article on Fox News and that is where I copied the link. Benny Hinn has always been to me a shyster…..Francis Chan however has always struck me as more grounded and genuine…although as with anyone proclaiming faith we must examine carefully just as Dj reminds us. What Chan said there at the end is how I view Chan’s faith. God did it, now let’s follow where He leads and reach the people with the Good News. We don’t need to be entertained all the time. Sun is shining in the window! The house feels warm. I need to check on the Birthday Tree and see if anything popped out today. This morning it did not seem likely for this week. I don’t really know about Benny Hinn. What does he teach that makes him be a heretic? Mumsee, I don’t remember that discussion. Why do you ask now? Do you think our names should be at the bottom of our posts? If you’re anonymous, it doesn’t matter where your name is. Thanks, Nancyjill. I have heard of Hinn but knew nothing about him. I hear a lot of yard work going on during this sunny day. That does seem strange in February. It could be so peaceful and quiet except for the string of rush hour cars zooming by. Kevin, I did at the time because I was interested in reading what people had to say before forming an opinion of the comment. I am fine with this. Though being anonymous goes against my grain, because I think we should stand by our words. Nancy Jill, that used to surprise me in Chicago, that in January they might have swimsuits and no sweaters. Really, who even thinks of buying swimsuits in January! And what happens if someone moves from Florida to Chicago in February? I suspect that putting out next season’s merchandise early helps people to start thinking that way, and probably you sell more sweaters in October than in January. But then again, you’d sell more sweaters than swimsuits in January, for sure! I really just don’t get it. Mumsee, Chan has been known to appear in joint conferences with others of Hinn’s ilk before, and has been criticized before for so doing. Paul going to the Acropolis to speak is not the equivalent of Chan sharing the stage with false teachers like Hinn. A modern day equivalent of Paul speaking at the Acropolis would be to preach the Gospel in a complex of Hindu temples, or some other centre of pagan religion or philosophy. Remember, Paul said in I Corinthians 5:10-11 that it was not from unbelievers who were idolaters, etc. that we are to separate ourselves from, but we are to separate ourselves from those who call themselves Christians and practice idolatry, etc. The person pretending to be a Christian is far more dangerous to the Church than the person who is not a Christian. I never said Chan was a heretic. I simply consider him an unsound and unstable, and not qualified to be a leader in the Church. A teacher of the Bible who lacks the ability to see that he should not associate with charlatans like Benny Hinn and Todd White (another with whom Chan has appeared) does not inspire confidence in his ability to discern what the Bible teaches. Chan has in the past also been associated with Mark Driscoll, who was removed from leadership at Mars Hill for his conduct, and Bill Hybels (with whom Chan wrote a book), who was removed from Willow Creek for his conduct, so he has a history of not being wise in choosing his associates. As I said before, I see the effects of Chan’s teaching on my relatives who listen to him, and their lack of discernment (one of them who shares Chan’s videos on FB also shares ‘Christian’ conspiracy videos) is often concerning. A man who leads in the Church who is not qualified to lead will lead others astray. Correct, Roscuro, you said he was unstable. I was asking for an example of that. Cheryl commented heretic and gave her reason. Your last sentence second paragraph would be what I was talking about when I suggested a good strong Christian could go into a situation like that to make sure the people heard the Truth. Was he fellowshipping and sharing teaching or was he just on the same stage at a different time? Billy Graham used to get in trouble for the same thing and I believe you have mentioned not approving of him either, I could be wrong. A lot of Christians didn’t. I liked him and I watched some of his sermons and that encouraged me as a young believer with no other Christian influence in my life. Mumsee, a good strong Christian would understand that to appear at a conference with false teachers is to be associated with them. The apostles gave no quarter to the false teachers who had infiltrated the Jerusalem church, “not even for an hour” (Galatians 2:4-5). Chan, in his recent book ‘Letters to the Church’ quotes Soren Kierkegaard, the existentialist philosopher whose work was influential in the modern secular existentialist movement – in fact, Chan’s criticisms of the modern Church sound very similar to Kierkegaard’s criticisms of the Church in his day: https://www.premierchristianity.com/Blog/6-mind-blowing-thoughts-on-church-by-Francis-Chan. Kierkegaard is often termed a Christian, but his views on basic Christian doctrine was decidedly questionable – let me put it this way, the student I went to Nunavut with identified herself as an existentialist and had read Kierkegaard, but it was clear from my conversations with her that she had no understanding of the person and work of Jesus Christ. That is how absent the clear truth of Christianity is from Kierkegaard’s writing. So, I repeat, Chan does not have good discernment. He identifies with both past and present false teachers. Ok, now I am even more confused, I went to the site you mentioned and it was a glowing report on Chan’s book. And it mentions that he saw the same problems in the church today that Soren had mentioned. And I thought that you had mentioned many of the same problems. Our churches are too Americanized, too comfortable, too entertaining. A non believer can say profound things and be quoted by a Christian. It does not mean the Christian agrees with everything else the guy said. I do not know his reasons for appearing at the same conference as the guy. Perhaps he was wrong. Perhaps he was right. I can think of many possibilities, but thinking, “Hey, Benny Hinn is going to be there so I will call them and sign up to speak too!” is probably not what happened. Mumsee, he didn’t simply appear at the same conference, but he promoted the conference. I was going to wait till tomorrow to post these links I found tonight, but it looks like this discussion is still somewhat live here. Earlier I was trying to say not that “because of this and this, he’s a heretic,” but that my understanding was that he has been called that. (Benny Hinn I will say clearly is a wolf.) These links say that whatever he might have taught in the past, he has moved off into promoting flase teaching and false teachers, and cannot (at this point) be trusted. I’m not a fan of Billy Graham, either, by the way. He was far too inclusive in terms of what was involved in the gospel, including Mormons as those who are saved. (My husband has documentary evidence of that.) That doesn’t mean he never did any good for the cause of Christ. My last living uncle credits Billy Graham with his conversion, and my mom credits this uncle with hers. God uses imperfect people. But God didn’t set up independent evangelists; He set up His church. Those who work outside it (in terms of independent evangelistic organizations) are off on the wrong foot to start with, and they are easily led more deeply astray. Yes, I deliberately shared that glowing report, because I wanted to demonstrate that it is possible to still see the flaws in Chan, even in a blog post that cannot say enough good about him. I strongly suspect that Chan is simply parroting Kierkegaard’s criticisms, merely updating them for another age, they are so similar: https://www.christianitytoday.com/history/people/moversandshakers/soren-kierkegaard.html (Note: this article fails to point out Kierkegaard doctrinal weaknesses was – I just share it to point out the remarkable similarity between Chan’s and Kierkegaard’s criticism of the Church). Both Kierkegaard and Chan want to make Christianity difficult. Chan isn’t criticizing for the purpose of helping the Church transform. He is tearing down the Church because he wants to build a movement of house churches in its place. Many of his statements about church are straw man generalizations that are unfair and uncharitable, even to churches that might seem on the surface like they are what he is describing. I know of several churches which on the surface might seem occupied with music and programs, but underneath, there is a solid core of sincere committed Christians who earnestly pray for God’s guidance and remain focused on the reason for being a church – the city church is one such church. Paul and Peter and John had to correct the Church a lot, but they never tried to tear the Church down to rebuild it, as they knew it was Christ’s Church and was being built by Him. About the apparent similarity between what Chan says and some concerns I have expressed. I talk about how Christians need to remember they strangers and pilgrims on the earth, and how our security is in Christ, so that we do not need to fear the world’s enmity. I do not think that Christianity should be more difficult. I am actually saying we are making it harder than it is by trying to win spiritual battles using our own strength – that our victory already is won in Christ. I would call deliberately trying to make Christianity difficult yet another form of will worship and voluntary humility (Colossians 2 again). I am saying let go. Chan is saying try harder. Chan and Kierkegaard both emphasize the will of man in attaining goodness – the relatives I have who like Chan are virulently against the doctrine of God’s election. In his review of Chan’s book Letters to the Church, Tim Challies observes that Chan tries to contrast the apparent deadness of the Church in the West to the supposed vibrancy of the Church in India: https://www.challies.com/book-reviews/francis-chans-letters-to-the-church/. The problem, that both Challies and I see with Chan’s attempted contrast, is that the Church in India has quite a few of the same problems as the Church in the West. The Church has existed in India since the time of the Apostles, and has had plenty of time to become stagnant and overly conformed to Indian culture, which it is in many places. Chan’s criticisms are not truly based in Scripture, but in Kierkegaard’s philosophy and his own misinformed opinions. Hey it’s morning around here…it’s dark but it is morning! I know I awakened at 3:21….husband turned on the light and I asked what time is it? He replied “ 321….blastoff!”….starting the morning with a chuckle and a cup of coffee!! Rise and shine! Good morning NancyJ and everyone else but Jo. And I’m off for a while.